Cosmetic enhancement isn’t just for the ladies. 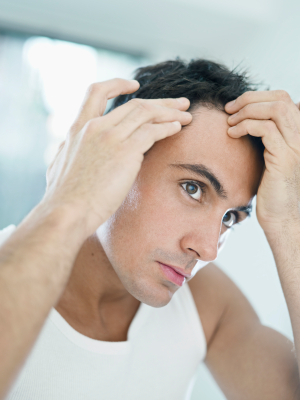 These days, more and more men are seeking out cosmetic procedures to enhance their self-esteem and body image. But what procedures are topping the list for male consumers? According to American Society of Aesthetic Plastic Surgery (ASAPS), they’re reaping the benefits of a variety of non-surgical enhancements, especially laser hair removal for men. Laser hair removal for men can be used to remove unwanted hair virtually anywhere on the body. It’s ideal for men who wish to thin out or completely eliminate hair from their back, chest, stomach, arms, shoulders or genital area. Many men choose laser hair removal because it one of the few (other than electrolysis) hair removal techniques that can thin out, rather than completely remove unwanted body hair. During a laser hair removal session, a practitioner uses a handheld device to apply laser energy to unwanted hair. The energy safely passes through the surface layer of the skin, destroying the hair shaft and root. Treatments generally take about 30 minutes, and up to eight treatments may be needed to achieve optimal results. The final results of your laser hair removal may be more or less permanent. However, many patients do require regular maintenance treatments (about once per year) to achieve long-lasting results. Are you interested in learning more about laser hair removal for men? Contact us!